Fassaden is a collection of new prints, drawings, paintings, and sculptures by Arthur Laidlaw. This exhibition is the culmination of his time as artist in residence at coGalleries’ Fahrbereitschaft studio in Lichtenberg. Fassaden examines our relationship to history as inhabitants of a city. 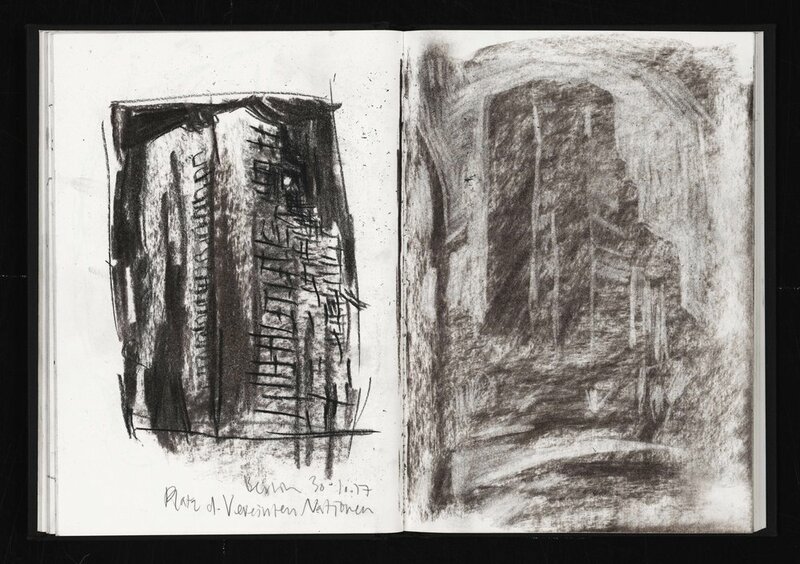 Each work begins in Laidlaw’s sketchbooks, where he makes charcoal or pencil drawings of Berlin’s buildings. Some of the buildings depicted are iconic, others of personal significance. Laidlaw then scans and digitally enlarges the images to create prints, which he works on with thick, painterly strokes of acrylic primer, before applying the final, monoprinted, layer of black etching ink. 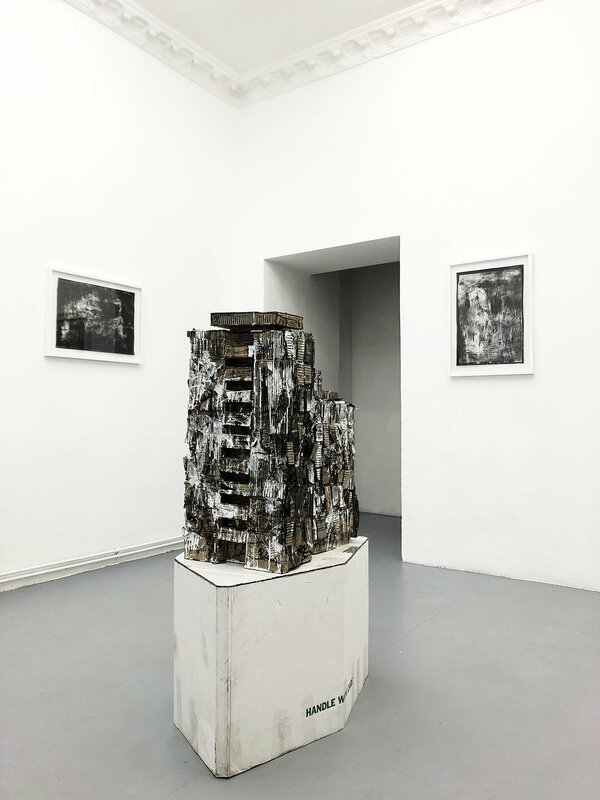 This process performs a literal rearranging of the city; as Laidlaw adds materials, or takes them away, he begins to understand the city’s landscape. Through this reckoning, Laidlaw’s relationship with the city deepens and the images grows larger and more fraught. Ultimately, Fassaden suggests that the individual can trace a detailed image of the past along the surface of Berlin’s concrete facades.